About the OCA Ranch Rodeo - "Cowboys Helping Kids"
The OCA Ranch Rodeo features 12 historic Oklahoma ranch teams in head to head competition for bruises and bragging rights. The OCA event is comprised of six events depicting day-to-day ranching jobs. 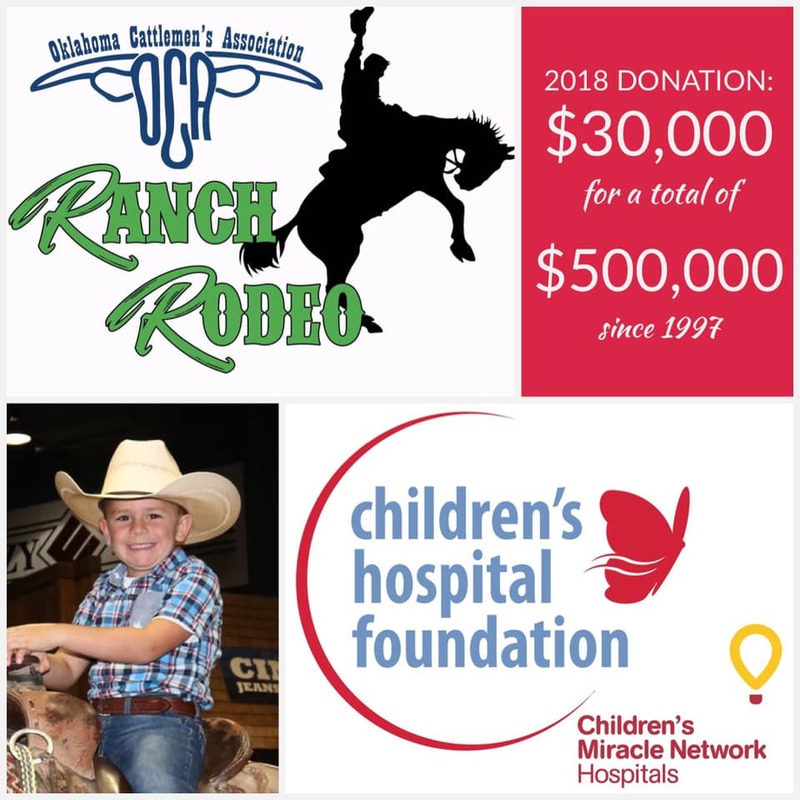 Some call the event, "cowboys helping kids", and for good reason since the selected charity has been the Children's Miracle Network, Supporting Children's Medical Research Institute for 22 years. In that time more than $500,000+ has been raised to help children. The event also features a trade show and kids dummy roping. The OCA Ranch Rodeo is sanctioned by the Working Ranch Cowboys Association and the Champion team at our event represents Oklahoma at the world competition each year. These are the folks that make the Range Round-Up happen year after year. They put many hours of thought and hard work in and we appreciate their dedication. What a great opportunity for businesses to showcase their products and services to the crowd attending the OCA Ranch Rodeo! Trade Show Contracts will be available here on May 1, 2019. If you have not exhibited at this event in the past and would like to be added to the contact list, click or tap here to email the trade show coordinator.